Perforated sheets features: (Hole shape)square, round, oblong, triangle (Thickness) 0.3-8.0mm (Materials) Stainless steel 304/316/321, carbon steel, Aluminum, Copper, brass. Perforated Sheet is come in different Metals different types of the perforation & different size of the whole Dia also available in different gauge. This product is use in Agricultural product separation, Construction industries for designed construction. 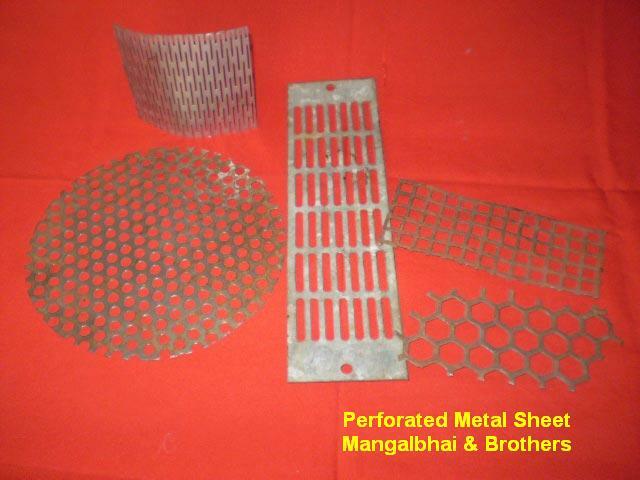 In Oil industries perforated sheet is use for filtration. In pulvliser machine for food products manufacture.